Home / SEO / What are Topic Clusters? How Do They Boost Traffic? Content marketing has come a long way since its inception. Owing to the ever-changing Google Algorithm updates every day we are constantly finding ways to improve our ranking, increase our organic search traffic and drive qualified leads to our website. Although it was not long before that marketers ranked at the top of SERP by targeting a single keyword per page; now with the advent of Artificial Intelligence and Machine Learning things have changed drastically. Today, the concept of manually researching answers to our problems has changed, and this has compelled us to rethink our SEO strategies. Hence, the trick now is to target the entire topic and not only a particular keyword- resulting in the introduction of topic clusters. A group of interlinked web pages built around one particular pillar content targeting a broad topic and linked to several related but narrowly-focused pages is a topic cluster. This is a proven strategy as it allows you to receive greater visibility for search engines so that your content is readily identified. A look at the topic clusters examples reveals that this particular strategy has a huge impact on SEO. The model improves your contents and boosts your site’s SERP ranking thereby helping you to reach your content marketing goals. Take a look below regarding the reasons for leveraging topic clusters. Once you know the benefits of strategizing in its accordance, you would understand its significance and want to apply in your next content marketing campaign. What are the Benefits of Topic Clusters? How Do They Boost Traffic? Every content marketer’s goal is to grab the attention of the target audience thereby boosting traffic to the company site. But it’s not that simple as it seems to be. A content marketer has to constantly update his strategies to stand out amidst the competitors. When you produce multiple posts surrounding one pillar topic, it notifies search engines that you are an authority on this particular topic. Hence you become a trustworthy site on a subject. 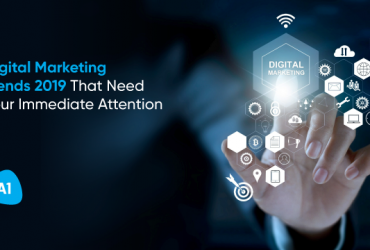 But it’s necessary that you focus on a specific topic and build out from there, instead of creating haphazard contents targeted at particular keywords. Moreover, it’s also imperative that you link contents and similar blog pieces back to the pillar page or the transactional page (as sometimes also called). Remember search engines utilize links as a signal of authority, it’s like more the links back to a transactional page, higher the page will rank on SERP. Additionally, links help your users to stay on your site and explore similar other pieces of content you have created around that topic. This strategy is a vital step to lead your users through the buyer’s journey. Content clusters play a pivotal role in attracting the attention of your target audience to that particular product or service that generates the maximum amount of revenue. In addition to that, internally linking amongst clusters help you build up the authority of your core transactional pages. This way you can build content around your lead revenue and take these products and services to the potential customers so that they are compelled to make a purchase. Topic clusters are paramount in boosting search results for every piece of the blog around a specific topic. Nowadays due to lesser attention span, users don’t like spending much time while searching for something. The phenomena today is to search less and find more and here’s where content clusters play a crucial role. Content clusters provide the users with tons of relevant contents on a particular topic of their search. 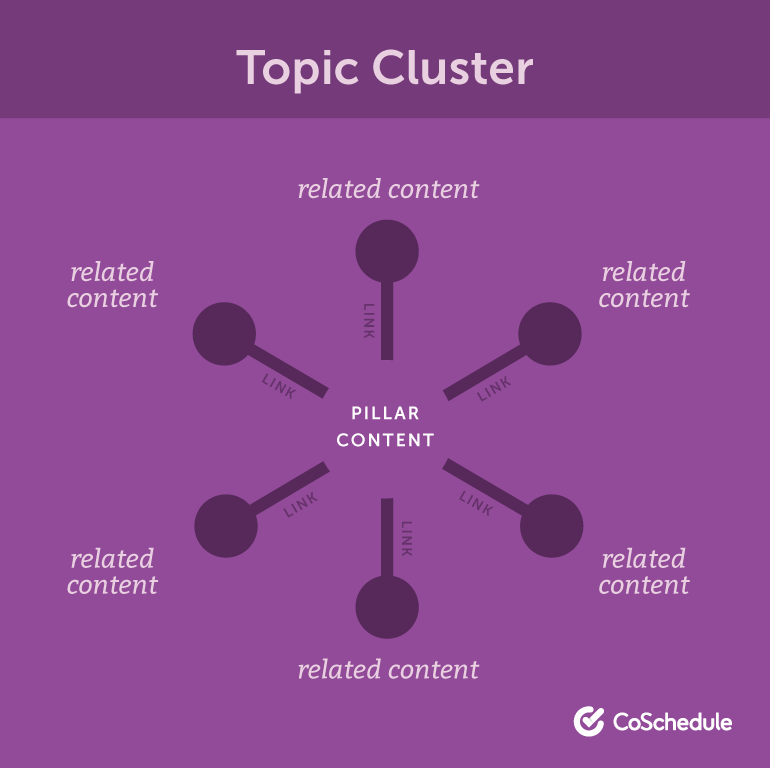 Topic clusters are the ideal way to develop relevant top of funnel traffic as they expose many people to a particular topic and its surrounding contents. At the very top of your sales funnel you would like to attract a much larger audience of potential leads and build relevant traffic base. Blogs of the content clusters have the required calls-to-action that lead the top of your sales to funnel prospects to conversion opportunities. When your users come across a valuable piece of content, they consume it and also exchange their thoughts with contact information thus contributing to building traffic around your brand. 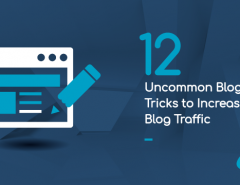 This is the perfect way to bring organic traffic to your site and generate a lead. Topic clusters SEO provide answers to all the different questions that users have around a core topic. These bunches can answer similar questions that users have around the same theme. The trick is – the search engine will give the searchers related topics without having to put in specific keywords. These related topics would provide an answer to some questions that a searcher might not even realize. These boxes contain the best answer that Google could find surrounding the query and thus is positioned above the site ranking. The initial step of forming topic clusters is to start by picking up the topic. Decide on which subject or theme you want to build content. Consider a topic that is ideally the cornerstone of your business where you are expected to have a tough competition. But it’s essential to have a web page and supporting content on the subject you have chosen. 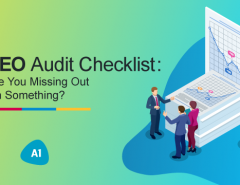 You can do a content audit to find out how much content and how many web pages you already have. Brainstorming plays a vital role while choosing the subtopics. These are the most critical parts of a subject you have to select to base your content on. Think of all the relevant contents a user might look for. 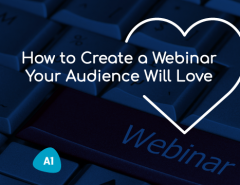 The trick is to step into your buyers’ persona, find out what questions they might ask and then develop answer content based on the questions. Although topic clusters have arisen as the most important element of SEO strategy, yet till today keywords play a significant role when it’s about ranking in SERPs. You still need to focus on relevant keywords to optimize your content and web pages. However, it’s important to audit content when it’s about optimizing your page around a new keyword. When you have finalized on your topics and subtopics and researched your keywords, now it’s time to develop your pillar pages. A pillar page is created covering your chosen topic. To make the pillar page all the more interesting, it’s imperative to add relevant pictures, interesting and attractive headers that visually speaks about your expertise on a topic. But you should spend the time to design and develop your pillar pages around your topic. You can decide on the topic conveniently if you keep buyer personas in mind while creating pillar page. Interlinking related topics and subtopics is the essential action of creating topic clusters. The pillar page must contain links to all subtopic contents. In addition to that, you also need to link back the subtopic pages to the related pillar pages. The internal linking is important to demonstrate the semantic relationship your topic and subtopic pages have. To simply put, search engines understand that the keywords are connected and related to one another. This way you can stay relevant and be at the top of SERPs. The world of digital marketing is ever changing. Thus, content marketing also has evolved dramatically concerning style, format and delivery over the years. Today, topic clusters are the latest trend in content marketing. Utilizing topic clusters you can plan several pieces of content around one idea, making it presentable and enlighten the consumers on one particular topic from different angles. The team at A1 Future is constantly researching the developments of content marketing. 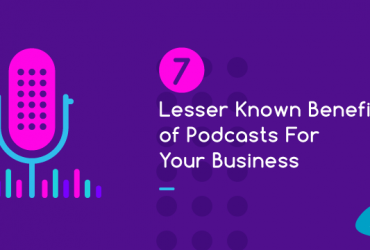 If you want an in-depth knowledge on content marketing and want to imply the recent trends in your business, the pros are always at your service.